Welcome to A Sampling Bee! Today, I share with you Trisha's Almond Toffee! 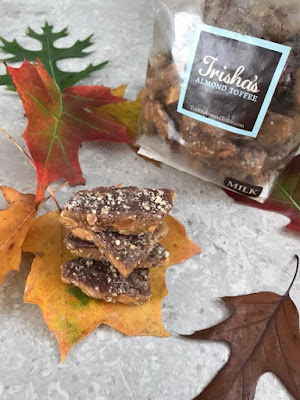 Trisha's Almond Toffee was created over 30 years ago by Aunt Trisha. This family owned business started in Texas but is now based in Maryland. 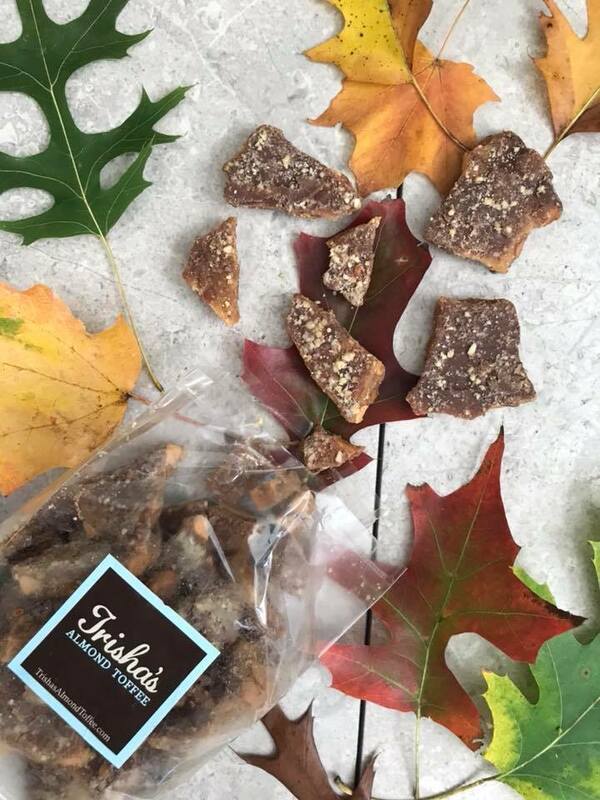 Trisha's Almond Toffee is handmade and prepared with only the freshest and finest ingredients. All ingredients used to make Trisha's Almond Toffee is made in the USA. Including Almonds from California. Trisha's Toffee are preservative free as well as gluten-free. Trisha's Almond Toffee is unlike any other because it won't stick to your teeth! 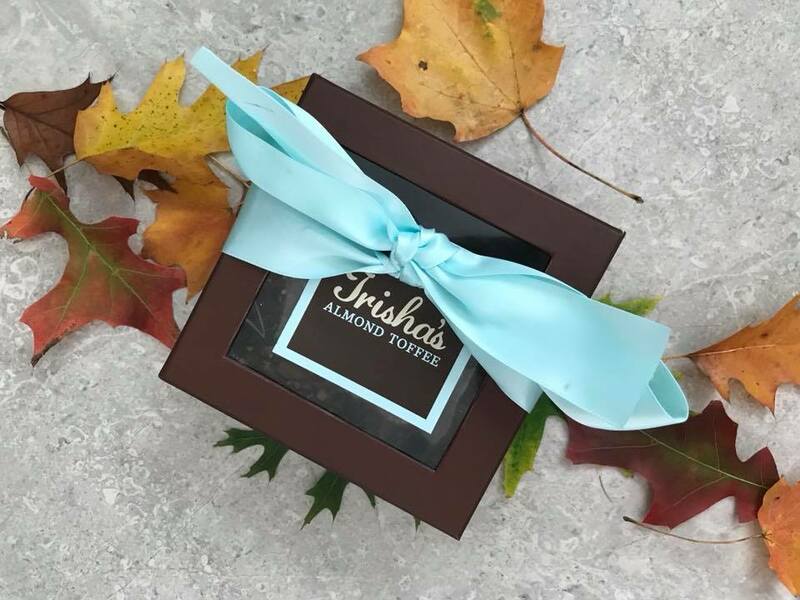 Trisha's Almond Toffee is available in Milk Chocolate, Dark Chocolate and White Chocolate. Flavors include Plain dark, white and milk, Sea Salt and Pumpkin Spice! Trisha's Almond Toffee is made fresh-to-order. Which means that the toffee is made fresh right after you order. Trisha's Almond Toffee is perishable, so it is recommended that the toffee is refrigerated or kept in your freezer. Trisha's Toffee has a 2 month shelf life, unrefrigerated. Trisha's Almond Toffee makes a great holiday gift, party favor, corporate gift or a treat for yourself! Trisha's Toffee is excellent! It's rich, crunchy, full of flavor and absolutely does not stick in my teeth! My favorite flavor is the Milk Chocolate Sea Salt. This flavor is perfect with just the right amount of salt. My taste buds are craving some right now! It's very noticeable that these toffees are made with only the best, high quality ingredients. And, I love how the toffee is made fresh-to-order! 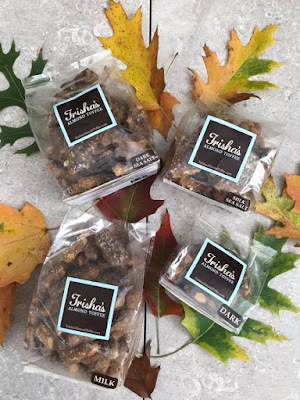 With the holidays coming up, Trisha's Almond Toffee makes a wonderful gift! Stocking stuffer, too! I received Trisha's Toffee in exchange for my honest review. All opinions are my own! Enter to win a Trisha's Almond Toffee Milk Chocolate Gift Box worth $25! One winner will be chosen and contacted via email. Winner will have 48 hours to respond. US only, please!